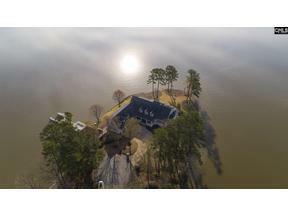 Plantation Pointe on Lake Murray in South Carolina, is also called “the Pointes”. An elegant master planned neighborhood on the Northern shores of Lake Murray, Plantation Pointe is located in Newberry County, near the town of Prosperity, SC. The community is nicely situated on a long peninsula where you’ll discover a serene island-like lifestyle. The most fabulous sunrise and sunset views can be enjoyed from many locations throughout Plantation Pointe year round. Homes in this upscale Lake Murray community offer anywhere from 3 to 5 bedrooms and range in size from 2100 square feet and up. Most waterfront homes may include private docks or may offer shared docks in some locations. Visit the Community Website: Find community history, covenants & by-laws, forms, contact info.